We were absolutely delighted with our guided visit of Hamburg with Gordon. The visit was just extraordinay and the knowledge of Gordon about Hamburg was absolutely amazing. We really enjoyed the visit and would like to make a contribution to your association. Also, worth mentioning, Gordon’s knowledge of French is just not good but fantastic!!!! his best to help us enjoy your beautiful city. Excellent!!!! We’ve seen places and heard explanations and stories we could have not found in any travel book!. We spend a wonderful morning with our Greeter Claus. It was a very good idea to go in three different areas. We could thus discover various sides of the city that show its diversity. Our Greeter Claus is very knowledgeable about his city and we could feel he truly loves this place. Thanks a lot and welcome to Paris. We have Greeter there as well. Gudrun – highlight of our tour! Our Greeterin Gudrun gave us the insights of a part of Hamburg, no tour book ever can give because she is a local with a human touch. She is excellent, explained everything so clearly that we enjoyed the time with her. It is said that often we forget the sights we see but the person who shared them with us, never. Thanks so much Gudrun for the wonderful time spent with you. 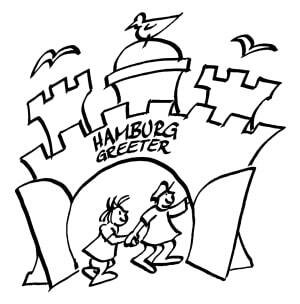 Thanks also to Hamburg Greeter for your thoughtful organisation! Meeting with our Greeter Gordon was such a great decision of ours. 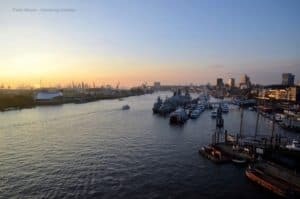 We had taken a walking tour previously of Hamburg so we had some understanding of the history and culture in the area. Gordon was able to further our knowledge even more by providing some very knowledgeable information. Overall our tour was fantastic and Gordon has inspired me to want to join a similar network back home in Australia! My friend and I had a truly wonderful time with or Greeter Gordon. 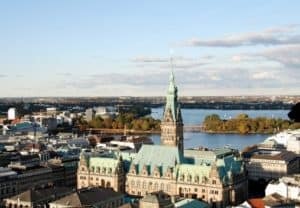 He met us at our hostel and was incredibly friendly, knowledgeable and passionate about showing us the lovely city of Hamburg. It was lovely to walk with him and learn so much about the history and significance of Hamburg, and we both felt that there was no question (big or small) that he couldn’t answer. Having such a personal showcase of a city is vey special, and we would absolutely recommend him (and Greeters) to anyone who’d love an authentic experience on their holiday. We had the good fortune to meet our Greeter Klaus twice. He met us at our hotel in the late afternoon to review our plans for our greet. Klaus once again met us at our hotel two days later and he showed us many areas of Hamburg that we would not have found on our own. We visited the Elbtunnel, took a ferry boat to Finkenwerder and back to Neumühlen. We met up with another Greeter, Edith Johnson, and later visited the Beatles-Platz in the Reeperbahn. We finished the wonderful long day at the top of the “Dancing Towers” for a delightful refreshment. 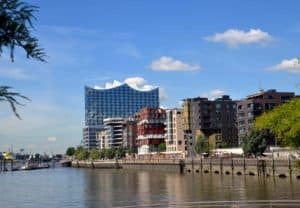 Our experience with Hamburg Greeters was one of the more enjoyable times we had during our trip to five European cities. Rarely does one have the opportunity to see a city thru the eyes of a local. Yes, we truly enjoyed the sites our Greeter, Jörn, introduced and explained to us, but more importantly and what was truly special was the engaging conversations we had with Jörn on a variety of topics, including, but not limited to: politics, history, architecture, and culture. 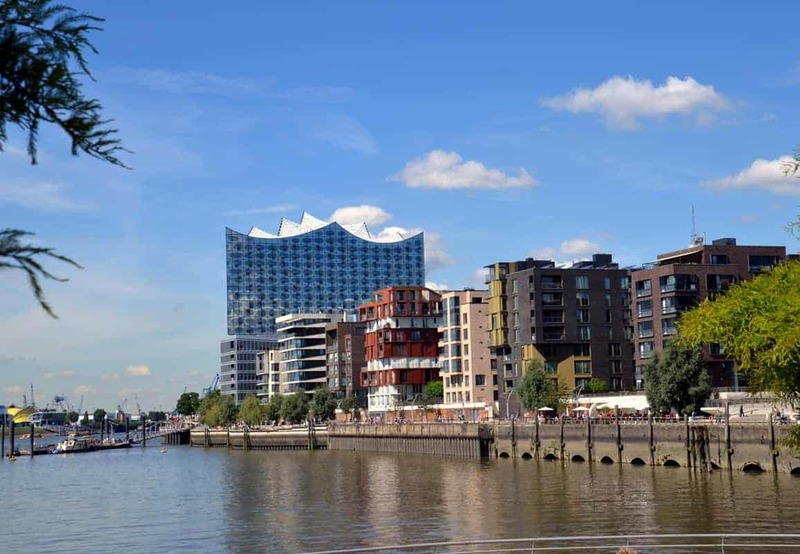 With Jörn we visited areas that would be considered popular with tourists, but more of our tour was about seeing sites, buildings and areas where tourists would not typically explore and this so enriched our stay in Hamburg.